Almost everyone is concerned with the cost of energy. Whether heating a small apartment, a large office or a shopping complex, scientists continually search for ways to improve the effectiveness of HVAC systems and lower their operating costs. For example, even as far back as 2008, the efficiency of chillers had increased by 25 percent compared to previous years. Furthermore, the new generation of boilers work better, save energy and are more economical. 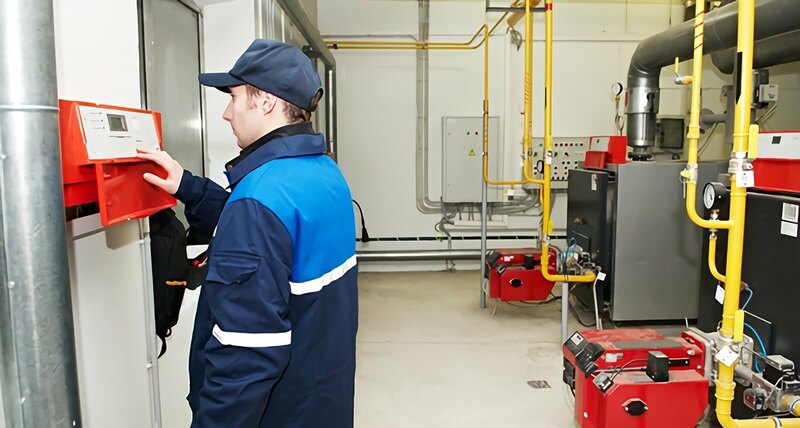 Advancements in technology of maintenance tools have also contributed to the increasing efficiency of HVAC systems; no matter how well-designed a boiler or chiller is, they must be properly maintained by a trained HVAC technician in order to perform as intended. Shopping malls and high-rise buildings, as well as large industrial complexes, are now using remote monitoring for diagnosing and maintaining their HVAC systems. Breakdowns in these large facilities are costly to repair. Hence, it is much more cost effective and efficient to use “smart technology” when managing HVAC systems. Breakdowns can be immediately discovered and diagnosed, and repairs made promptly. No matter how modern and efficient an HVAC system is, there are always maintenance issues. Diagnosing and repairing them can be difficult and time-consuming. There have been recent technological innovations in diagnostic tools using software programs that can access data from the energy-management system in order to detect and correct HVAC performance issues. Some managers have reported up to a 15 percent reduction in their yearly energy use when the deficiencies are immediately diagnosed and corrected. Handheld devices are used by HVAC managers in facilities that do not have energy-management systems. These devices help managers quickly identify performance issues in all types of HVAC products and systems. HVAC managers are installing many smaller boilers and chillers in large buildings In place of one large one. This improves operating reliability, and usage can be more easily adapted to the changing needs within the facility. It also enhances the system’s overall efficiency: when there is only one boiler or chiller and it breaks down, the entire facility is without heating or cooling. When there are multiple boilers and chillers, the failure of one only results in a decrease of the system’s heating/cooling capacity. Indoor air is up to five times as polluted as outdoor air, making air filtration an extremely important part of any HVAC system. As the amount of air pollutants have increased and worries about transfer of diseases, like the Anthrax scare following the 9/11 terrorist attack, have become more widespread, air filter efficiency is one of the major goals in HVAC technology. The proper filters depend on the size of the building, number of occupants and what the space is used for. New filters use a nanofiber composite media that is more effective at trapping dust and filtering the air. The material is durable and self-cleaning. It is used in all types of air filtering systems, such as those used in airplanes, cars, furnaces, and gas engines.